Pasting directly from the old blog. Continuing our series on Pashtun Leaders. 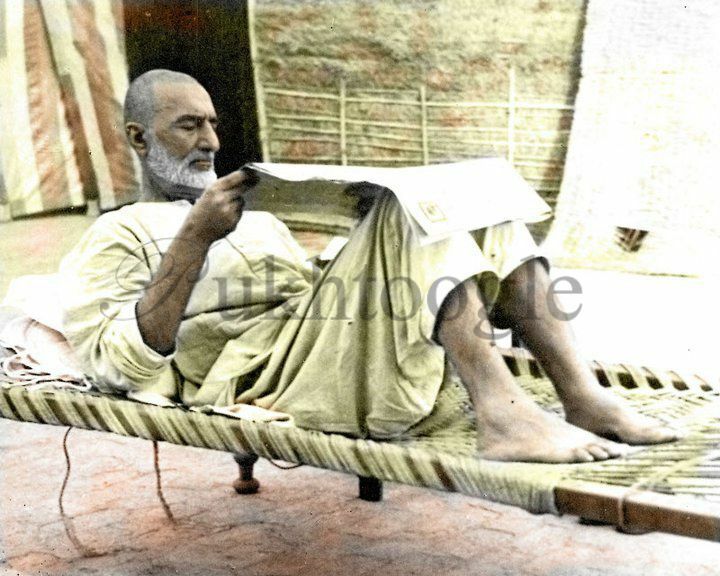 What better day than August 14th to write about the prominent Pashtun leader and thinker, Khan Abdul Ghaffar Khan – popularly known as Baacha Khan (or Badshah Khan)! Bacha Khan, father of Ghani Khan and Wali Khan, was born in 1890 in Utmanzai (Charsadda) in Peshawar. The fourth child, he was sent to a local mosque for religious education. After the completion of his Qur’an lessons, he was sent to the Municipal Board High School in Peshawar, where he later joined the Edwardes Memorial Mission High School. When his elder brother was sent to Bombay for medical school, Bacha Khan remained with his family servant, who later influenced Bacha Khan’s decision to join the British Indian army. However, as he was in the process of applying, he witnessed a British Raj officer mistreating a countryman and also realized that the Guide officers, an elite corp of Pashtun soldiers for the British Raj, were treated like second-class citizens; this highly offended him and made him change his mind about joining the army. Although Bacha Khan’s father wanted to send him to England to study medicine, his mother disapproved, and Bacha Khan stayed back. However, he took advantage of the opportunity of staying back with his people to be of service to them. Always keeping the interests of his people, the Pashtuns, in mind, Bacha Khan decided to become a social activist; convinced that the Pashtuns needed education, organization, and reformation, he and another social reformer, Haji Fazli Wahid (Haji of Turangzai) who also stood against the British rule, established some religious educational institutes in Utmanzai and Mardan in 1910–when Bacha Khan was barely 20 years old. There, the students were not just given religious education, but they were also taught to be good patriots. Because the Haji urged his students and Pashtuns to unite against the British rule, the British attempted to imprison him but he escaped in time. With his escape, however, the British closed down the institutions he and Bacha Khan had established and imprisoned its teachers. Bacha Khan was imprisoned after he held successful anti-British Imperialism assembly of Pashtuns in Utmanzai, attended by over 50,000 Pashtun. Holding such an assembly was a crime because of the British Indian Rowlatt Act, which banned people from committing to or initiating any “revolutionary” (anti-British) activities. Bacha Khan was arrested, and the villagers of Utmanzai were fined 30,000 rupees; over a hundred and fifty notables were kept in confinement until the fine was paid. Bacha Khan was released six months later. Bacha Khan traveled through 500 villages between 1915-1918 in Khyber Pashtunkhwa (then called the Northwestern Frontier Province) in an effort to organize, unite, and educate the Pashtuns. It is these kinds of efforts and activities that earned him the title of “Bacha Khan,” which means King of Chiefs. The movement proved successful and won him a large number of followers among Pashtuns–with over 100,000 members alone. Unfortunately, Bacha Khan was sent into exile because the movement was a threat to British imperialism. It was then, in the 1920s, that he formed an alliance with Gandhi and the Indian National Congress, an alliance that lasted until 1947–the partition of India. This was because he and his supporters felt betrayed by both India and Pakistan after the partition, and his last words to Gandhi were, “You have thrown us to the wolves,” because the Pashtuns of British India were not offered the choice of being an independent state or re-joining with Afghanistan after the formation of the Durand Line, the boundary between modern-day Afghanistan and Pakistan; instead, they were compelled to choose between joining Pakistan or India, and voting results showed that the majority wanted to join Pakistan–the Muslim state, considering Pashtuns are also Muslims. Because Bacha Khan strongly opposed the partition, he was constantly thrown in prison by the Pakistani government after independence (August 14, 1947) because of his association with India and his opposition to the Pakistani authorities. As a result, he spent much of the 1960s and 1970s either in jail or in exile. Bacha Khan pledged allegiance to Pakistan in 1948 in an attempt to establish healthy relations with Pakistan and Muhammad Ali Jinnah. However, Jinnah was told that Bacha Khan was plotting his assassination or was otherwise a threat to the Pakistani government, which led to the non-violent soldier’s house arrest. After his release, he was arrested again, many times between 1948 and 1964. Due to the amount of time he spent in prison (over half of his lifetime), he was granted the Amnesty International Prisoner of the Year award. In 1984, he was nominated for the Nobel Peace Prize. In 1967, he was awarded the Jawaharlal Nehru Award for International Understanding, while in 1987, he won India’s highest civilian award, the Bharat Ratna–becoming the first non-Indian to receive the award. Bacha Khan died under house arrest in Peshawar in 1988 and was buried in Jalalabad, Afghanistan. He had requested that he be buried in Jalalabad because it symbolized the unification of the Pashtuns; thus, his dream of Pashtun unity continues to live on. India’s Prime Minister Rajiv Gandhi went to Peshawar to honor Bacha Khan, despite Pakistan’s (Zia ul-Haq’s) efforts to prevent the visit, citing security reasons. The government of India also honored Bacha Khan by declaring a five-day period of mourning upon his death. 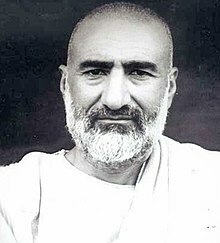 Although there was a Civil War in Afghanistan during Bacha Khan’s death, a ceasefire was declared so that his funeral could take place (albeit not in peace: a bomb explosion killed 15 people at the funeral), as thousands upon thousands paid their respect, marching for the man of peace, the non-violent Pashtun soldier of God who spent over half of his lifetime in prison because of fighting to bring his people, the Pashtuns, together as one nation, under no one else’s power, controlled by no one else. 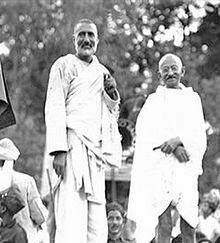 Bacha Khan did not appreciate being referred to as “the Frontier Gandhi” because “it created a sense of competition [between him and Gandhi] in what was a relationship of teacher and disciple” (The Pathan Unarmed by Mukulika Banerjee, page 146). On a personal note, I, too, can’t stand it when people refer to him as “the frontier Gandhi.” No, he was not the Frontier Gandhi. He wasn’t a Gandhi at all. He was an individual, his own person; can he not be recognized without any references or links to Gandhi or any other person? The concept of non-violent resistance did not come from Gandhi, and every person who shares that philosophy is not another Gandhi. 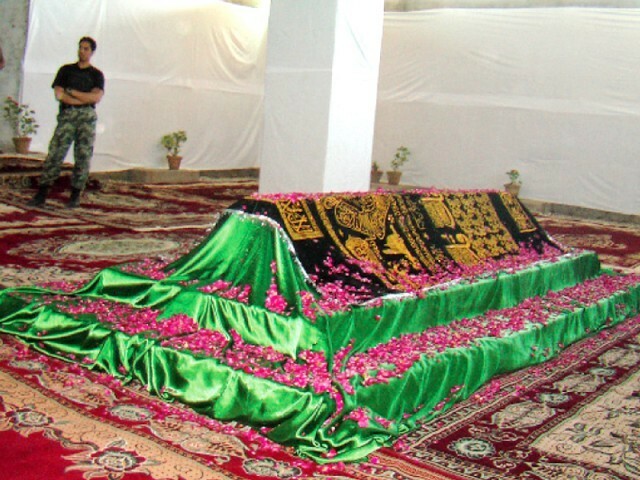 Bacha Khan’s tomb in Jalalabad, Afghanistan. Rest in peace, Bacha Khan. You have left us a lot to ponder over and learn from. May you be rewarded for all your efforts and struggles–and may your decades of unjust imprisonment (at the hands of British India and later Pakistan) be rewarded with eternal peace. Aameen. It’s a shame that he is not nearly as recognized as Gandhi is, despite the similarities in their beliefs, struggles, and influences. What’s worse, few Pakistanis recognize him while much of India revers this man. It’s a pity that even many Pashtuns still don’t know about him–but they all, the ones in/from Pakistan–know Jinnah very well. This entry was posted in Islam, Pashto, Pashtun Leaders, Pashtuns, Religion and tagged Khan Abdul Ghaffar Khan, Pashtun Leaders, Pashtuns. Bookmark the permalink. I found this blog by a man who mentioned you, he claimed your article has many historical inaccuracies, his article on Ghaffar Khan seems the most well researched I’ve come across, what do you think? It’s pretty long but thought provoking. Yeah, I’m familiar with the dude who told you that. He’s lying to you. Also, he thinks this is supposed to be some hugely detailed, researched piece of material, and it’s not. I’ve been doing this with many other Pashtun Personalities, and it’s intended as basic intro to these guys. Reading about Baacha Khan for the first time. Thanks Orbala, for sharing such a master piece about the Unarmed,Non-Violent Pashtun leadership.